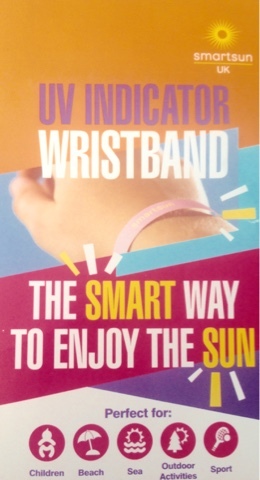 I was recently sent samples of a new UV indicator wristband from Smartsun UK* said to be perfect for children, the beach, outdoor activities, sport etc. 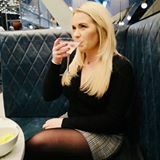 "The Smartsun wristband changes colour depending on whether your safe to stay in the sun, should reapply suncream or should avoid the sun for the rest of the day. Comfortable and discreet to wear, the Smartsun wristband helps to keep you and your family safe in the sun." These bands come in packs of 5 and cost £4.99, they are a one-use band with a UV indicator which measures the amount of UV radiation you are exposed to in the day. 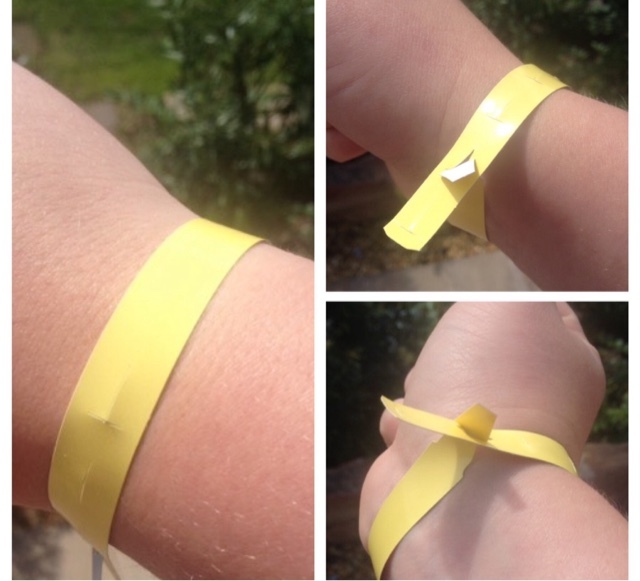 If the band stays it's original yellow colour you are safe to stay in the sun, if the band turns beige it's telling you it's time to top up your suncream and if the band turns pink it's indicating to avoid any more sun. I do like the idea, especially for on holiday but there a couple of reasons I am not too keen on this product, one being the look of it, I feel it's like I am wearing a band to an all inclusive hotel on holiday so not the most aesthetically pleasing wrist band and also the way it is fastened (see picture below), it slots into itself and doesn't feel like it would last long, especially on a child's wrist! So, in my opinion, I wouldn't purchase these but I really do like the concept behind them, especially for while you are on holiday. If you would like to try out these wristbands you can buy them HERE. Would you use a product like this?